Recently, some of my girlfriends and blogger pals, Steph at Life According to Steph and Gwen at Confessions of a Gila Monster, published posts about the contents of their purses. As we are now in the deep, dark recesses of winter and I’m trying to get back on track with healthy eating and some semblance of exercise in the new year, I thought it might be prudent to take a week off from restaurant reviews and talk about something a little more akin to the Big Hungry mindset than my purse: my pantry and fridge. 1. Sriracha. A mix of chiles, garlic, and vinegar. Like hot sauce, but with more flavor and not so spicy it will blow your head off. I use it in stir fries, soups, and leftover Chinese food to kick it up. You can also get nutty with this fun, trendy ingredient, and try experimenting with it in sweet applications, like cookies laced with bacon and sriracha. The spicy will counter the fatty and you will end up with something delicious. 2. I am addicted to Wegmans Italian Classics line of bagged pastas. They cook in a bit of a shorter time than boxed, dried pastas, but don’t overcook as easily as fresh. The ricciolo variety, which is what I have in there now, is particularly delicious in this recipe for squash and corn pasta with ricotta. which is really more of a summer recipe, but completely delectable. I also like the orechiette variety with sausage, swiss chard, and some hot chile flakes and parmesan. 3. Whiskey pickles from the Brooklyn Brine Co., picked up at one of the Finger Lakes wineries during my birthday party wine tour. A gift from Jill and Tommy. I almost don’t want to open them, because every time I go in my pantry, I’m reminded of that awesome day. Jill says they're delicious, though. 4. Bob’s Red Mill 7 Grain hot cereal. I use a little of this in my morning porridge recipe that keeps me on track when I’m trying to keep the lbs off. It’s very high in protein and whole grains, while keeping the more highly processed grains out of the mix. It adds body and chewiness to the stone ground oatmeal, and makes that more expensive product last longer. I really like that it has flaxseed in it, as that’s supposed to be good for you. I need all the help I can get! 5. I eat a lot of fancy, hoity-toity food. I love foie gras, shellfish, truffles, exotic cheeses, saffron and Kobe beef. But to prove to you that I’m still an Upstate NY, down-home girl, here is my tell tale box of Success Rice. On either side are basmati and Arborio, plus cous cous and thai rice noodles, but I have to have that safety box of instant rice up there, or I just don’t feel like…me. Sometimes, I like that familiar, old school, fluffy processed crap, and I will not be ashamed to admit it. 6. On the fancier end of that spectrum, here is the precious NapaStyle parmesan dip. You can order it here and always know that you have a salty, nutty, soulful, fantastic snack item if friends drop by. A spoonful of this on a charred baguette slice is pure unadulterated indulgence. 7. Stovetop Stuffing. I had no idea this was still in there. Huh. Must be at least four years old? We also have shelves that hang from the door. This is my nut shelf. Don’t act like you’re not impressed. I have the pine nuts, the slivered almonds, pecans, glazed pecans, and sliced almonds. The little glass jars help keep them fresh, as nut oils can spoil. And that completes today’s nuts lesson. Nuts. 1. Growing up, we always drank 2% or 1% milk, but when I moved in with Shawn, he was a skim man, and I followed suit. What do you drink in your house? 2. Next to the trusty Frank’s Red Hot, we have Shawn’s homemade hot sauce, which he made up a couple years ago from a mix of haberneros and thai chiles he grew in his garden. The day he ground up the chiles we coughed and gagged a lot. I do not recommend doing this in your home if you have small children. 3. Do you remember my review of Pastabilities, in Syracuse, in 2010? The spicy hot tomato oil they make there, recently featured on Triple D, was my favorite thing about that visit, and now you can buy it off the shelf at Wegmans! This is killer to dip some of that charred baguette in, in fact, serve a small bowl of it alongside your parmesan dip. But it’s also a good pasta sauce, and I used it last night to baste sautéed boneless chicken cutlets, with fabulous results. 4. These are pomegranate seeds, or arils. I can’t tell you how pleased I am that they now sell them in little containers like this, because it is an absolute mess to thwack them out of their shells. I sprinkled these on a spinach salad last night, but they are also delicious with yogurt or in a fruit salad. They look scary, but taste devine, and they pop when you bite into them. Delightful. 5. Down in the cheese drawer is some feta and a hunk of parm, and then this baby. This is my secret to the most delicious caprese salads: Antonio’s salted fresh mozzarella cheese. When I’m dieting and trying to stay no-carb at night, I eat a lot of caprese salads, and because this cheese is salted a wee bit more than other fresh mozzarellas, it adds a lot of flavor without me adding a ton of oil to my salad. You can get it at Wegmans in the fancy cheese case. 6. Summer Fresh fig and balsamic topping, also from Wegmans. I bought this at Christmas time to use with brie, but I’ve found it is absolutely delicious on my morning oatmeal to make a savory/sweet breakfast. It has the almost overwhelming sweetness of figs and that hit of balsamic tartness that balances gorgeously. As you can see, I have a good mix of fun, schmancy stuff and staples. 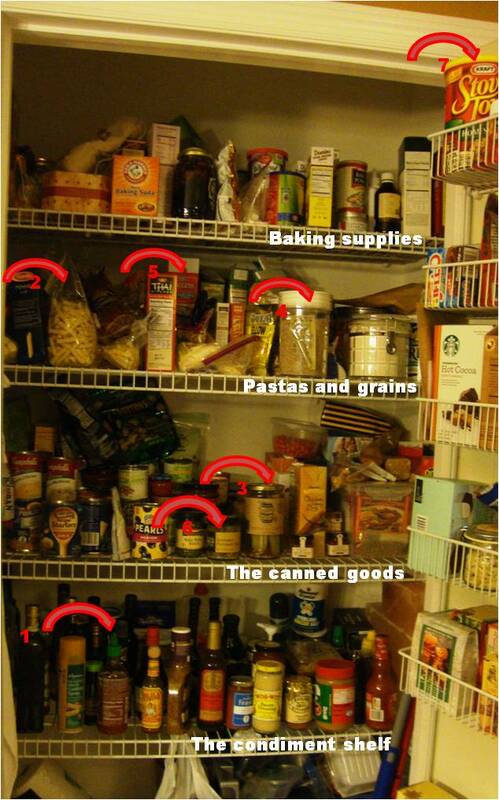 And don’t worry, there’s two whole drawers of vegetables down there you can’t see. I made a frittata Monday night with chicken, spinach, broccoli, red bell pepper, black olive, onion, and a tiny bit of feta, and had it with my spinach salad for last night's light dinner. It was yummy! What are you eating this week in Big Hungry Nation? Anything good? Remember, you can follow along with my eating and dining adventures on Twitter @BigHungryShelby or on my Facebook Group, which is just called Big Hungry Shelby. I know, I know, original! You also can actually subscribe to this blog, and then something called RSS will let you know whenever I put a new post up. Just click on the little blue join this site button in the left-hand navigation. Burn up the comment section, down below, too. I love to hear what you think about my blog, and I even took away that painful security code thingie to make it easier for you to post. See you back here same time, same channel next week for more in something yummy. My hunger is big; my personality is bigger! Sriracha is a new staple for us. I love Bob's Red Mill everything. I'm doing a kitchen essentials post next week, I might have to do a look in my pantry the week after and link back to you! You inspired me, so I'm proud to inspire you! Just beautiful,Shelby! I, too, have the Sriracha. My Stephen said where's the Franks Hot Sauce & I directed him to the Sriracha. Catchy name, too. I will try the pomegranate arils- they have fascinated me. I really wish Wegman's was closer and less of a zoo. You cannot move in there, sometimes. Plus, I get a bit distracted in there, so much stuff. I am intrigued by the Antonio's fresh salted mozzerella. Good idea with the frittata, too. Very enjoyable read, as always! Carpe diem. Thanks, Linda! Yeah, our Wegmans is the only one in this region for an hour in any direction, so it is mobbed at all times, and I have certainly snapped at people stopping to have a leisurely conversion in front of the parsnips or in the dairy aisle, but the quality of food you can find there is unparalleled in these parts. We don't have Whole Foods or Trader Joes, so Wegmans is it! Excellent post! 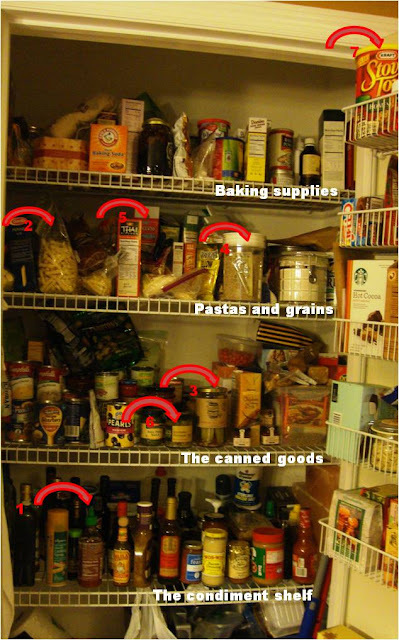 And it makes me realize that our fridge needs a good clean out and scrub down. I learned a super easy and no mess way to get the arils out of the pomegranate. You cut it in half and then fill a bowl with cold water in your sink. Put the pomegranate under water and just start pulling the seeds out. The seeds sink to the bottom and the white stuff floats on top. 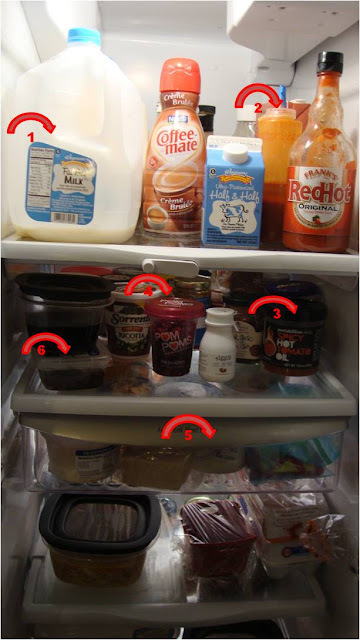 You avoid the messy red juice by keeping it underwater. Just thought I would share!! What do you use to pull out the seeds? Just a spoon? To Keurig or Not to Keurig?